When owning or managing a seasonal or year-round dude ranch operation, you need to have complex liability exposure because accidents can happen when you least expect it. Not many companies can provide the coverage you need because of the high-risk nature. To get the full experience, your guests will be around horses and other animals, which is why you need to have insurance coverage for your ranch. When you need liability for your guest and dude ranch, you can turn to Ark Agency for horse insurance and ranch insurance. We look forward to working with you and determining the ideal policy for your business. Guest & Dude Ranches serve overnight guests who stay on premises for from two days to two weeks. Accommodations are provided such as cabins, hotel, campgrounds or bunkhouse. Buildings on premises often include a lodge, meeting rooms and halls, a recreation building, in addition to traditional farm and ranch storage structures, stables, and barns. Swimming pools, saunas, hot tubs, and swimming ponds are a common feature. Products & Completed Operations liability may be required for sales of souvenir items, clothing, jewelry, books, etc. Food service is usually provided in a private dining hall, restaurant or cafeteria, from concession stands and machines, in addition to outdoor picnics, barbeques and chuck wagon dinners. Some have a liquor liability exposure for sales of wine, beer and hard liquor. Guest and Dude Ranches provide indoor and outdoor “western” activities for the whole family. Common activities include horseback riding and horse care along with introductory classes, horse drawn or tractor drawn vehicle rides, observation of and participation in ranch activities, western games, western demonstrations and competitions, day-long and overnight trail rides, and pony rides for children. Classes may be provided in sporting activities such as archery, fly and pond fishing, canoeing and kayaking, swimming, and low element rock climbing. Other activities may be petting zoos, dances, musical events, star gazing, wild flower walks and bird watching, painting and craft classes, museum exhibits, history tours, archeology, hiking and walking trails. Some operators may contract with another business to provide some of these services at another non-owned location and those providers should have their own liability insurance. Advertising and promotion at trade shows and travel fairs, in periodicals, newspapers, local flyers and on the web is an exposure of concern. Some operators provide transport services to and from public transportation sites and may have commercial auto insurance needs. Employees require worker compensation insurance under a separate policy of that type. Worker Comp is not part of a GL Policy. Note: Ark Agency’s companies may not be able to insure all of the high-risk exposures a guest and dude ranch may have. Worker Comp, Liquor Liability, auto insurance, and some high-risk recreational activities are not insurable under the GL policy. Additional policies may have to be purchased. 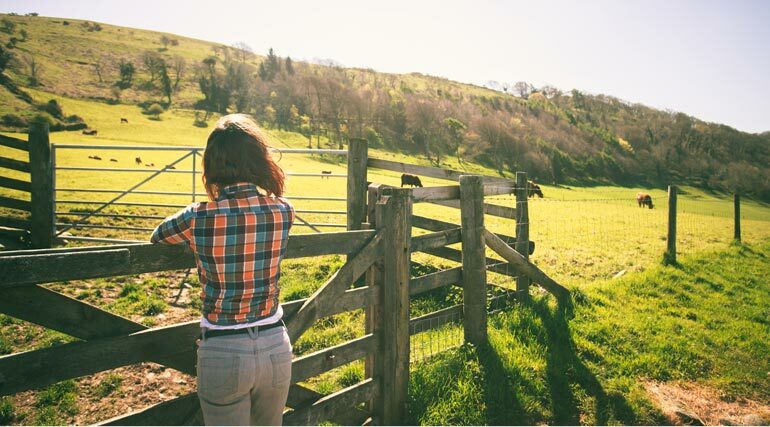 As a Guest & Dude Ranch Operator, you worry that you may be sued or otherwise have a claim made against you for bodily injury or property damage by a customer, guest or someone else who comes in contact with you or the property that is part of your business. If sued, you will need to hire a lawyer to defend you and you wonder how you would go about doing this. If found negligent or responsible, you would likely have to pay a court-ordered or agreed-upon settlement to the injured party. Fortunately, much concern can be relieved when you buy a Commercial General Liability Policy [GL] to insure your specific activities. Commercial General Liability Insurance protects you from financial loss should a guest, visitor, or a trespasser become injured [Bodily Injury] or their property is damaged [Property Damage] in relation to your operations, and they make a claim or file a lawsuit against you for damages. How Risky is Guest & Dude Ranch Operations? High Risk. These operations provide numerous supervised and free-time activities and services for guests who are on premises 24 hours a day. Guests may include children of every age that may be difficult to supervise at all times. Many of the activities are recreational and out-of-doors, and some are in remote places. These factors combine to rank such operations in a High-Risk category for incident or injury to happen. Guest & Dude Ranches usually have horse-related activities, but these may not be the highest risk activities. Horse activities are reasonably safe compared to many other activities people participate in. Yet, horse-human activities do carry inherent risks. Accidents do happen when people at different stages of capability attempt to touch, handle, train, ride, drive and control large animals that are unpredictable even when well trained. And some horse-human accidents are serious. Even with the best of intentions and management practices anyone can have a claim made against them and be sued. 1. A guest becomes injured while participating in a sporting, recreational, or animal related activity. 2. Food service claims are not common, but keeping foods at the right temperature to be safe in outdoor conditions is a concern. 3. Guests who are injured require more care than the resident medical care staff can provide, resulting in a medical crisis. Contact one of our representatives for assistance with selecting insurance for your horse business. Our team members will discuss premiums and policies with you to determine which one matches your specific needs. Protecting your business is easy when you have the right insurance policy. Call us right now at 1-800-328-8894 for your horse insurance quote.